The Olean Meditation Center is grateful to all the friends and members of our community who have generously supported our mission. We continue to rely on the generosity of friends and supporters to provide the much needed financial help to further our mission to provide interconnecting programs of mind, body and spirit which are rich and diverse spiritually. 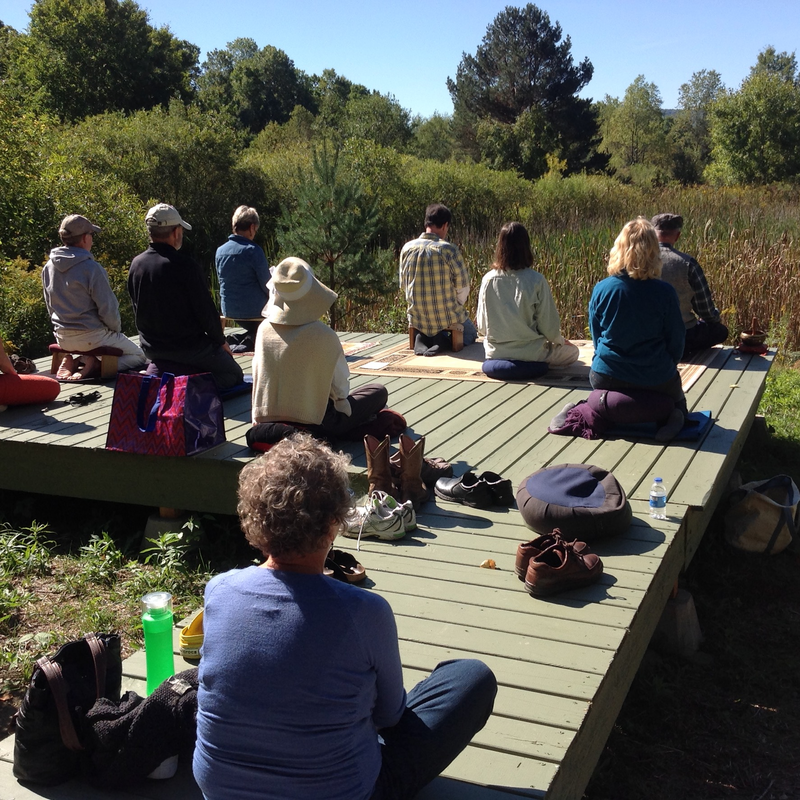 Our programs include public events, retreats, interfaith programs, daily meditation and instruction. We provide space for quiet meditation which will include private cabins and resources for sponsored solitary retreats. As our community has grown drawing individuals from all spiritual and cultural traditions, our goals have expanded. Pond: We would like to create a pond at the site of the meditation platform in late summer, 2019. Air conditioning: Due to the active use of the building for yoga, meditation and public events throughout the warm months, we would like to provide air conditioning. The anticipated cost for air conditioning is approximately $4,000. Retreat Cabin: Due to an increased need for a private cabin for sponsored solitary retreats, we would like to place a cabin in the wooded area of Windfall Gardens. We invite you to join our growing community which includes Christians, Hindus, Buddhists, and others who seek the quiet and enriching programs offered by the Center. Please feel free to send us a note to our email: oleanmeditation@gmail.com for comments about current or suggested programs. We are grateful for your financial support and compassion.